Have you ever wanted to learn more about the city of Rio? 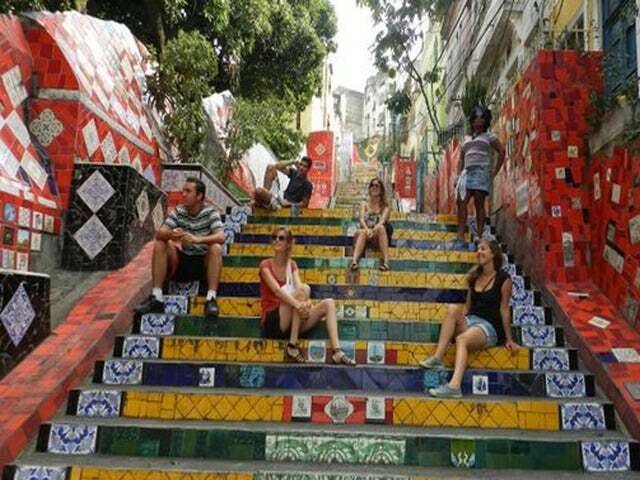 Then check out the Historic Walking Tour of Downtown Rio in Rio de Janeiro, Brazil. Learn the legends and culture of the marvelous city, Rio de Janeiro on this downtown walking tour. View historic churches and see the French and Portuguese influence in the city. Rio de Janeiro is one of the most popular tourist area in the world and that’s because of its magnificent history and culture. With the Historic Walking Tour of Downtown Rio, you’ll get to see fascinating French and Portuguese influenced architecture. Stare and admire at the beauty of the historic Imperial Palace. Learn the history of the beautiful city of Rio de Janeiro. Visit the most beautiful historic church in the city, the Sao Francisco da Penitencia, a colonial church built between the years of 1657 and 1733. Rio de Janeiro is also famous for its cultural dance ‘Samba’. With its Rio Scenarium, an area where bars, clubs, and discos are abundant, you can work out those hips, legs, feet doing ‘Samba’. You can then later on relax at a nearby fabulous beaches and have a meal at famous restaurants with their tasty Brazilian cuisines. Contact us now for the Historic Walking Tour of Downtown Rio and explore the beauty of the marvelous city, Rio de Janeiro.